Like all machinery, the mechanics of our cameras have their limits. Upon crossing this threshold, maintenance may be required to get these beautiful pieces of equipment in tip-top shape for the next photography adventure. This is similar to your car needing some repair help after driving an incredible amount of miles, as predicted based on car model. In cameras, this comes out in the form of your shutter life expectancy – or the approximate amount of times your shutter will function before it begins to hit the fan. Every camera brand and body have their own shutter life expectancy numbers. It may range from 30,000 releases to hundreds of thousands of releases. All moving parts will quit performing at some point, and the shutter is certainly no exception: Especially since the shutter does a lot of work, as, without it, photography would not be possible! To figure out the shutter life expectancy of your camera, you can begin by going to the brand website of your camera company. By looking up the model of your camera, you should be able to find the company’s information on its shutter life expectancy. However, if that yields no results, punching your camera model into a search engine followed by “shutter life expectancy” should prove fruitful. However, the machinery does not always follow suit with the promises laid before it. It is a great idea to peruse photography forums and read individual reviews on your camera brand to see if the shutter life expectancy rings true for your model, or if the actual expectancy is much lower than promised. Once you know the expectancy, it is time to find out how your actual camera is doing. Although a camera will not “die” per say if you’ve reached the expectancy (much like a car won’t necessarily break down once you’ve hit a certain mileage), the camera will likely stop working properly and need maintenance. The best way to predict when this maintenance will be necessary is being aware of your current shutter actuations. In laymen’s terms, the shutter actuation (or count) is the number of photographs your camera has taken. To avoid a mishap or malfunction during a photo shoot because you’ve reached or exceeded the shutter life expectancy, it’s important to know how to check your count. This is where our helpful article comes in to aid you in quenching your thirst for knowledge. Note: if you are going to purchase a used camera also check the shutter actuations before making a decision. A camera that is near its maximum might not be a good choice. If you’re not comfortable uploading an image to a third party, you can download a program to help access the full EXIF data and find the actuation number that way. The number that pops up is your shutter actuation. While Nikon and Pentax make your life simple by storing the shutter actuations in the photographs, Canon swoops in and makes life a little bit tougher (as a Canon user, I say this in the most endearing way possible). Unless you’re using a few select models such as the 1Dx, the aforementioned online resources will not be able to help you. However, there are several ways to easily get the shutter count for your photo-taking machine. The first is downloading a freeware program that will pull this information for you. A company called AstroJargon has created two pieces of software for this very reason: Windows users will utilize EOSInfo and Mac users can rely on 40D Shutter Count. To use either of these programs, simply connect the camera to your computer using a cable and run the program. Another one you can use is EOS Inspector (Mac only). Another way is to stop by any Canon-authorized repair shop and ask them to check for you. Their software can easily pull up this information for your knowledge. The third way is a firmware program called Magic Lantern that installs directly on to your EOS camera. Magic Lantern is “a free software add-on that runs from the SD/CF card and adds a host of new features to Canon EOS cameras that weren’t included from the factory by Canon,” according to their website. One of its features includes access to the shutter actuation number. Installing third party software on your camera always has its inherent technical risks, so do keep that in mind. Unlike the previous DSLR brands, Olympus and Panasonic cameras have built-in a way to tell the number of shutter actuations. To access this secret menu, you must input a series of button clicks (much like inputting a cheat code into a video game). The code may differ per camera model, so be sure to look up information for your specific camera. Open your memory card door. Press “PLAY” +”OK” at the same time. Press on the dial, in this exact order: up, down, left and then right. Depress the shutter release button fully. Press up on the dial. Insert a memory card into the card slot. Turn the camera ON and take a picture. Press and hold simultaneously the Q.MENU/Fn2, DISP/Fn1, and RIGHT ARROW buttons, while turning the camera ON. Now, press and hold the Q.MENU/Fn2 button together with the MENU/SET and LEFT ARROW buttons. Repeat the last step, that is press and hold the Q.MENU/Fn2 button, while pressing the MENU/SET and LEFT ARROW buttons. A two-page operation history display will appear. Press DISP/Fn1 to toggle between the two information menus. The number next to PWRCNT is how many times the camera has been powered up, the number next to SHTCNT is the shutter activation count, and the number next to STBCNT is the number of times the flash has fired. Switch the camera off to revert back to normal operating mode. Sony happens to be the trickiest of all the brands, as they have certainly not made it simple to get information on your shutter count. For those that rock with the Sony Alphas, you can try to use this nifty free website to find the shutter actuation of your camera: Sony Alpha Shutter Count. The EXIF method mentioned in the Nikon and Pentax section above may also work, depending on your camera model. For the shutter actuations for other brands, such as Leica’s DSLR series, the best bet is utilizing the EXIF reader method. If you’ve found other ways or good apps to do this for the brands mentioned above or other types of cameras we’d love to hear them in comments below. Let’s make this a great resource for all dPS readers. I uploaded the last picture I took with my alpha 55, model that was correctly identified by this tool, and I get two different informations: exposures (2557) and shutter actuations (5115) Could you explain the difference? Which one is the real number for the amount of photos taken, and why one of these figures is 2x the other? Didn't work with my Canon 60D, i've tried everything that I found in the internet, bot on windows and on mac. There's one web-site that gave me the number, but it's twice as big as my recent image number, and i know, that this number never reached 9999. There seems to be confusion over 'image number' and 'shutter count' or 'shutter actuations'. The image number is a resettable number, depending on your camera model. And may also show different values for .jpg and RAW images. The shutter count, certainly for Nikon DSLR from my own experience, is not resettable, even if the camera is taken-in for service. I'm looking at the example from Winston and suspect the first three digits are a 'folder' number, and the last four digits are the image number which increments on each frame. Probably somewhere in the menu system these can be deleted or reset to zero. See my earlier reply and try Kuso EXIF Reader. It shows all EXIF data including shutter count. The program doesn't recognise my Canon 60D. The Nikon version works fine. It does what it says on the box!! is there a way to find out by using the menu on the camera? i was gonna buy a used canon s100 from someone on craigslist, but i can't tell until after the purchase by going into the exif info on the computer. once money exchanges hands for the purchase, the buyer isn't going to take back the camera if i find out he had lied about how much he has used the camera. Shutter count for Canon using Linux. Likely works with many others. Hit up gphoto.org for specs. I'm amazed that some people worry their camera is going to break if it has a five-figure shutter count. I used an Olympus OM-2 for 'decades' and have no idea how many total shots it took, but probably 50,000+. It worked / I was happy. Maybe the digital manufacturers should stop giving this information, then the stress-levels of some users would benefit ! As Zafar mentions, in a few years, because of all the hype and upgrades that go-on in the digital camera marketing world, we'll all want a new one long before it has a chance to breakdown. KUSO Exif viewer told me the shutter count for my Nikon D300s from my last photo (7776). The olegkikin website showed one user had more than a million shutter count and still going. So I am not worried. If I shoot 10000 photos a year I am still good to go for ten years, and I am sure I will buy a new camera after that. I shot almost 1000 pictures per use of a camera. So if I use it 100 times. Sorry for me, shutter should be replaced. Do try XnView, specially for Nikon. It's downloadable online for free. Easy option for NIKON in MAC Preview: Open your last shot in PREVIEW > View > Show Inspector > click on Nikon Tab within the inspector - Shutter Count is in the list. Preview shows image number 0. on my Canon 50D it will not give me a correct shutter count on my MacBook pro (8 months old). Am up to date with software update. Could be biased on Canon or the 50D. This program is perfect!!! My 5D MKII have only shutter counts 115. Doesn't work on my 7D either. I just get the “Unhanded exception has occurred in your application……” message. I click ok and I get "no camera connected" message. It does work on my 5D mk. ii . Hopefully they'll fix the 7D compatibility problem. The 5D has 5,871 shutter releases and I bought it 5 months ago. Sheesh ! The 7D must have a million by now ! Hi again. I used XHTML tags in my message which got lost in translation. Hi, the 'image number', which is the same as shutter actuations, is in the file information in Photoshop. I guess it is important to check the shutter often especially for the pro. I have tried shutter actuations but it didn't works for my canon. is there any software from canon to read them all??? My shutter count worked. It says 835 actuations. I bought the camera 2nd hand so that seems low-but I'll take it. XNview will show Nikon shutter count in EXIF info. With my Pentax 1stDL it shows characters like you get with the Alt Num Lock keys in the shutter count area. I think they translate to a count but am unsure how. I am going to try both the fixes you outlined above. Thanks. I can't get EOSinfo to work with my Canon 7D. It works fine with my 40D, but with 7D I get the following error message, and then the application opens saying there is no camera connected. "Unhanded exception has occurred in your application......"
Do you I have a problem witht the 7D I just bought, or does EOSinfo just not yet work with the 7D? how i can get exif fille of any photograph which has been taken by my digital camera...??? can u help me..??? How do you find it on the Samsung NX10 ? For Nikon cameras, if you have Photoshop CS4 (I believe it works for earlier versions also) simply open an unedited JPG or NEF image and then got to File/File Info, and select the Advanced tab. Expand (click on the little arrow at the start of the line) the line finishing in "exif/1.0/aux". In the expanded display, the shutter count is shown as "aux: ImageNumber". Thanks for this, i was just looking for a way to figure that out. Kinda goofy you cant see it in camera on a nikon. If you have an older version, you might try upgrading it or try one of the other methods suggested in other comments, or shown in other blogs or other how-to websites. If I could edit my post and get rid of the second duplicate post above, I would! After installing the firmware hack and bootable CF on my Canon Rebel XTi, I was able to get a reading of the shutter count. Getting this hack working was a little more involved than I thought but really wasn't too difficult, and provides some cool new functions ("spot" metering, high ISO modes, and shutter actuations!). Pulling the count is a little bit of a workaround, but atleast I can now get it, plus access a scary looking service menu I'm afraid to touch. I'm not sure I entirely trust the count though, since it only shows a little over 8k actuations - I've probably put most of those on myself, but was told when I bought it that it was used for over a year, and it looked like it too. Yes, the Apple "Preview" application that comes with every Mac is a very useful program with some nice features that many Apple users don't use often enough. Like Will said before, you can see your image count with this free Apple program. Just open any of your JPG's with Preview and then go to Tools in the menu, and Show Inspector. (Or use the keyboard shortcut that is also shown there). A little pop up window comes up and you can then see all kinds of info on your photo. Click on the "i" icon, then the Exif tab and you can quickly see information from shutter exposure, to what lens model and lens serial number, and when you scroll down you can see the image number. The last shot you made of course would show the latest image number. At this Inspector Tool window, you can also then click on the "Nikon" tab and that same Image Number is then called the "ShutterCount". What I don't seem to find there, however is what Camera model or camera SN was used. Does anyone know where to find that using Preview or some other application that we probably have at hand? I used Opanda IExif 2.26 on the files from my Nikon D200 and something is definitely screwy. I noticed this right off because I use a sequential numbering scheme on my files, changing the leading 4 chars after every 10,000 shots so that the file number is essentially a shutter count. The file number tracked the shutter count as reported by Opanda fairly closely for awhile, but right around 24000 shots, the error went from +200 to -200, and soon thereafter the shutter count jumped by about 27000! So right now my filename is at 36000 but the shutter count in the Exif is 63562. Anyone seen similar behavior? I just tried the Opanda software to get my NIkon D70 count and it gives the same as My Shutter Count, which is way below what I have taken. ? I uploaded a photo from my second hand Nikon D70 to My Shutter Count and it gave a number of clicks way below what I have taken since I got the camera. I presume the previous owner (a wedding photographer) had heaps more shots from this camera. Maybe it is the reset thing after 10,000 that someone mentioned above? Awesome, thanks! According to the EXIF file, my newest camera has done 5707 actuations, and it has a life expectancy of 100,000 so should have it for another 15 years before I have any problems. And if Henri Cartier-Bresson was right, and my first 10,000 photographs are my worst, then I'm about half way there! Tried this. Works on the Canon 50D just fine. Shutter count was right around where I thought it would be. Tried it on the Canon 7D and it said that software loaded successfully, but the when I ran it, kept getting the error message. Switched back to the 50 D, and yup it worked. Tried it on my Canon EOS 50D, and it worked great. I haven't tried it, but since Fuji's DSLRs are basically Nikon D200's (and similar models) with a different look (excepting the things like a higher dynamic range, etc...), I would think it's the same. Unfortunately no one seems to give any instructions on the Fuiji FinePix cameras. I have the S9500 DSLR, and cannot find any tips or tricks for this one. Olympus E-520 also needs "MENU"+"OK". Sharon's link is very helpful (thanks!). On my Olympus E3 none of the tricks works. can anybody tell me how it works on my camera? i've tried Photome for Pentax and Nikon. It works. Another option for many cameras is using sites like flickr....upload file and view the EXIF data...you should see the shutter count under "image number"
If you have a flickr account, upload an UNEDITED shot, go to the exif data, it's down there, think it's called shutter count. I would check, but my stupid work network won't let me. It shows comprehensive exif information including shutter actuations (on Nikon JPEG at least). I didn't realise Preview worked too - Thank you Will! Too bad Opanda can't open raw files, I don't want to upload it to http://www.myshuttercount.com/ for it's relatively big files. Thanks for the link to the Opanda software - I've been looking for something like this, and when I open the last shot I took with my Nikon D80, I can see the total shutter-release count up to that point. (I'm creeping up on 23K). tonys, it doesn't explicitly state that EOSInfo works only with digic III/IV processors, but it does say "EOSInfo works with almost any DSLR, excepting the 500D"
It also says that the old version, 40D shutter count, which is also available for mac, "works on almost any DIGIC III/IV DSLRs, excepting the 1D series"
So I thought the current version of EOSInfo had been updated to also include shutter counts for older models, which is why I installed and tried it, but alas you are right it won't work for my XTi. I've never been able to get that link to work for my Pentax K10D. And I don't strip the exif. Not to mention it takes a LONG time to upload a 10mb RAW file even on DSL. Assuming you've never reset your file naming, can't you just refer to the file number? That would make my shutter actuations slightly over 10,000. I've owned this camera for two years so that's not bad. To tell you the truth, I'm not going to even worry about it. If I want to take ten photos from different angles of the same thing, I'm going to keep doing that. That's why I like digital. You can see what you've shot immediately. If you don't like the result, like the exposure or composition, you can shoot it again. And again. Until one day, somewhere far in the future, you camera stops working. Maybe. I use Irfanview (freeware) as a file viewing utility. If you download the (also free) plug-ins you can view the EXIF information, where you can find the shutter count for many digital cameras. It works for my Nikon D90. 4) You should see "Imagenumber" towards the bottom; as far as I know, this is the actual shutter count. If you have a Sony A-330 please post your actuations on this website, to find your actuations look at the number of the last picture taken on each of your memory cards and add them for the total. If you've taken over 9999 with a certain card then add that 9999 to your grand total. 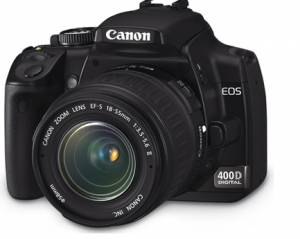 As stated in the article, the Canon shutter count program only works for cameras with Digic III and IV processors, including the 450D, 40D and 5D Mk II. The program didn't work completely on my 20D. It told me the firmware, s/n and camera but said shutter was 0. It isn't 0. Correct me if I’m wrong but I think that it is just enough to check an internal file name given by the camera. Nope. On most cameras, the file name "resets" after 10,000 images. So, for example, my Nikon goes from DSC_9999.jpg to DSC_0001.jpg -- with no indication in the file name that this is really image 10000, not image 1. In addition, most cameras let you reset automatic numbering at will, or any time you reformat your card -- so the file name may be entirely wrong. The Mac version of 40D Count worked on my 40D (Go Figure!) but didn't work on my XTi (400D). I am glad it worked for my 40D as I bought it second hand and was not sure what the count was. Now that I checked it I am still not sufferring buyers remorse. It has a low count just as the seller stated. Thanks for this article and the resources that you provided! 1. create an empty file called vers.req (not vers.req.txt) in the root directory of your SD card. 3. press the func/set + disp. buttons together (i.e. press set first, keep holding it down, then press disp.). 4. while holding down func./set and pressing disp. three times, the number "Total Shoot" appears. That is your shutter count. If you can't get it to work, see http://chdk.wikia.com/wiki/FAQ and look for the section on how to get the firmware version for your camera. E400 Olympus series use MENU + OK.
On the Olympus E-410, press Menu and OK instead of Play and OK. You may have to try a couple of times. Here is the link I used. EOSinfo shows my shutter count on my XTi as zero, hmm. I tried it on my Olympus E-410 and it doesn't seem to do anything. Thank you so much for the links- I was really curious to find out what my camera's "mileage" was after the original article. Nikon D40X- 10610. Middle-aged, from what I gathered from the "My Shutter Count" site. Both EOSinfo and 40Dshuttercount do not work with the first version of the 5D. They do work with my 5D mk II. Correct me if I'm wrong but I think that it is just enough to check an internal file name given by the camera. Works on my 40D but does not work with a 7D. It just says that there's no camera connected. Power cycling the 7D with the camera connected doesn't fix things. Also an error message is displayed when EOSInfo starts saying that there was an "unhandler exception" If you click continue the application starts and works at least on my 40D. I installed the problem on a Vista SP2 system.